Learn to make a small batch of sugar cookies recipe. This easy sugar cookie recipe requires no chilling. The cookies hold their shape and taste great. I already shared my very small batch of sugar cookies recipe when I first started off this blog. But over time, I have received a lot of feedback and suggestions. Based on that, I have updated my small batch of chewy sugar cookies recipe and it’s so much better! My husband ate the whole batch in two sittings, which means this recipe is a winner! 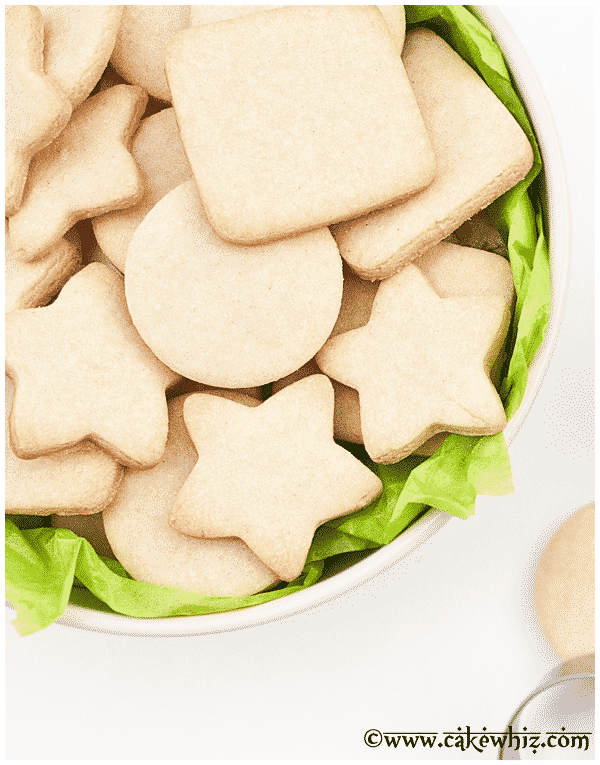 Depending on the size of your cookie cutter, this can be a 1 dozen sugar cookie recipe or you can easily double the recipe to make 2 dozen sugar cookie recipe. I want to be clear and point out that these are NOT small batch drop sugar cookies. These are a small batch of cut out cookies! The cookies hold their shape. There is no spreading during baking, which makes them perfect for cookie decorating. Unlike most classic cut out sugar cookies, which become hard as rock in a few hours after baking… these cut out cookies remain crispy on the outside and slightly soft on the inside. There is NO chilling required! You just mix all the ingredients, roll out the small batch sugar cookie dough, cut out shapes and bake. 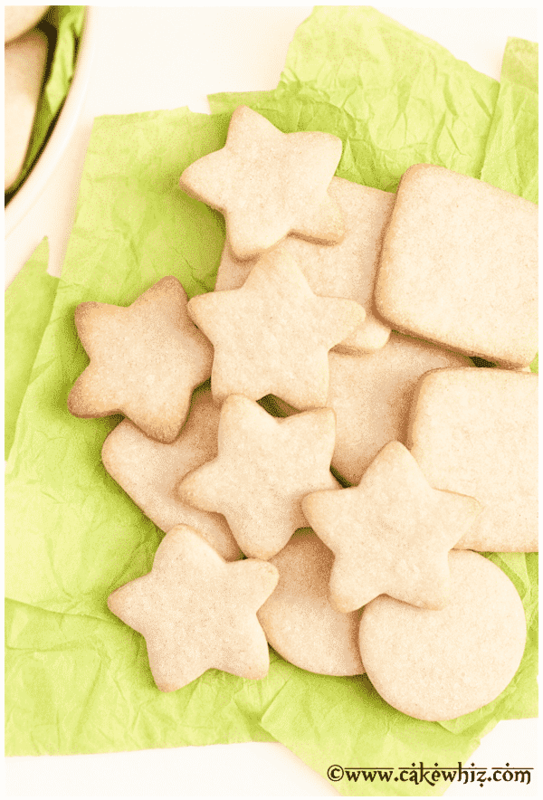 These sugar cookies from scratch can easily be modified with various spices and extracts to yield different flavors. This small batch sugar cookie recipe is perfect for days when you suddenly have the craving for cut out cookies but only want a small number of cookies to munch on. You can also use gel coloring to color the cookie dough and bake a tray of colorful sugar cookies. How to make a small batch of sugar cookies from scratch? The process is very SIMPLE. Start off by creaming together butter and sugar until light and fluffy. Add egg yolk, vanilla extract, sour cream and mix until smooth. Add flour, baking powder and salt and mix until you have a small batch of sugar cookie dough. Roll between 2 sheets of wax paper. Cut with cookie cutters. Bake and enjoy! This small batch of sugar cookies recipe is always a hit with my family and friends and the recipe is pretty much always REQUESTED! I have made this simple sugar cookies recipe for birthday parties/ tea parties, decorated them and used them as party favors at small events and even taken them at family picnics. You can decorate them with royal icing or glace icing (both will give you a hard finish) or classic American buttercream frosting. Cream sugar and butter in a deep bowl. Add egg yolk and vanilla extract. Mix until everything is well-blended. Add sour cream and mix again. I think sour cream added some moisture to these cookies and prevented them from becoming very hard. Mix everything. The batter will start to curdle and look odd. That’s perfectly normal… you haven’t done anything wrong. When the curdling happens, it’s time to use your hands to start mixing until you form a ball of cookie dough! Roll this dough between 2 sheets of wax paper or parchment paper. Use a cookie cutter to cut out cookie shapes. Bake these cookies on a cookie tray, lined with parchment paper at 350 degrees for 6 minutes. Then rotate your tray and bake for another 3 minutes. Your baking times may vary depending on the thickness of your cookies. Cookies are done when they are light golden brown along the edges. Allow the cookies to cool down completely before removing them from the parchment paper. Enjoy! You are only using an egg yolk... NOT the whole egg! To make Orange sugar cookies, replace vanilla extract with ½ tbsp orange extract or orange oil and also add ½ tbsp orange zest. You can add more or less zest depending on your preference. 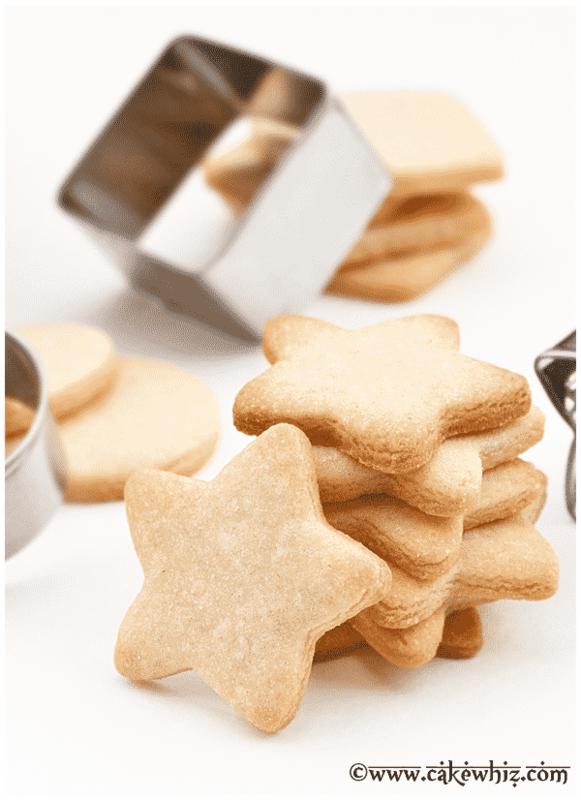 To make Almond sugar cookies, add ¼ tsp vanilla extract and ½ tsp almond extract. 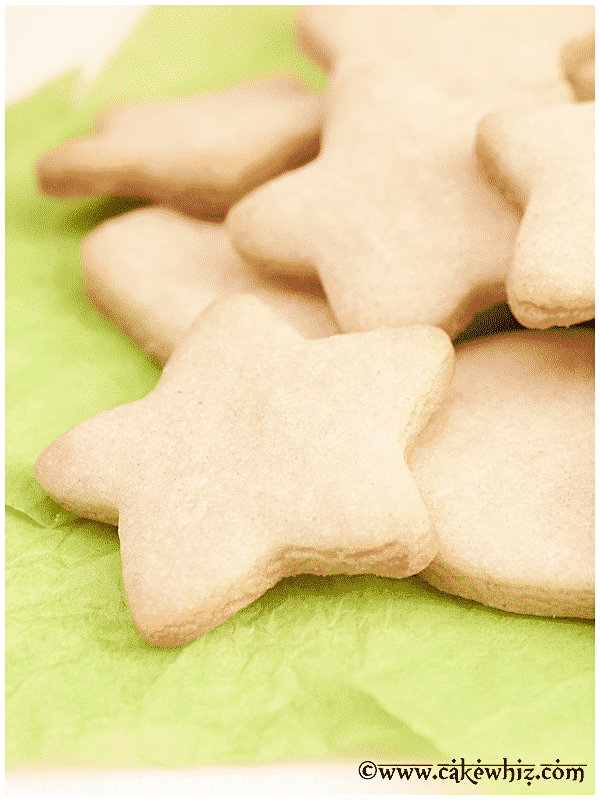 To make Spiced sugar cookies, add ½ tsp cinnamon powder and ¼ tsp nutmeg powder. Hello I’m wondering if you can use a dairy substitute for the sour cream? Such as tofutti? I have never tried it to know how it would affect this recipe. I think it might work because it is a very small quantity. If you do give it a shot, let us know how it goes. I am sure there are others who are curious too. Recipe was simple to follow, No need to chill dough AND best of all…. cookies tasted great!!! I used the almond flavored recipe provided!!! Definitely a keeper!!! How thin should I roll the dough? It’s entirely up to you. Thinner cookies are crispier and bake faster. Mine are usually about 1/4 inch thick. I have made 1/2 inch thick cookies too.